Would Canadian Officials Devalue the Loonie to Save House Prices? With early cracks beginning to emerge in the Canadian Real Estate market, national home sales declined 17% year over year in February, bulls and bears alike are trying to predict what lies ahead. While the reality is nobody can predict with any degree of accuracy, there remains many hypothetical scenarios. One of which has been gaining some traction. Are Canadian officials gearing up for a weaker loonie & would it cushion house prices? A weaker loonie would allow Canada to beef up exports in the event of a recession, while simultaneously importing substantial amounts of inflation. While this devaluation and inflation of the currency would have many consequences, including the destruction of savers purchasing power, it would keep interest payments in cheque and house prices more buoyant. The devaluation of the currency has already been happening for decades, most Canadians just haven’t clued in. 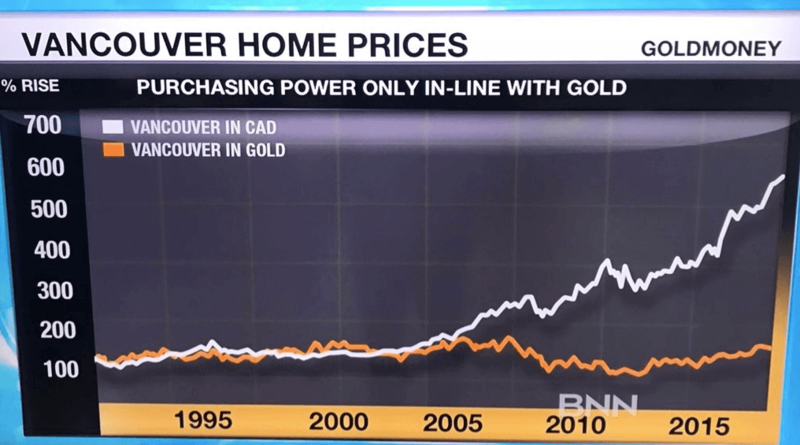 For example, over the past couple years Vancouver house prices have surged nearly 50% in Canadian dollars, but they’ve gone virtually nowhere when priced in gold. Vancouver homes priced in gold. This can also be seen in Canada’s M2 money supply which is the total amount of money in circulation (including cash, savings/ chequing accounts, deposits, etc). Ultimately, the increase of inflation would ease the debt burden of Canadians as the real value of interest payments falls. This is particularly beneficial for the balance sheets of Canadian households which are the most indebted of the 20 advanced economies and paid a record high of $84B in mortgage interest payments last year. To the average homeowner it would appear as if home prices aren’t declining in nominal terms, but in reality they are declining in real value (ie inflation is running higher than home price growth). Again this is all a hypothetical but certainly not out of the realm of possibilities. 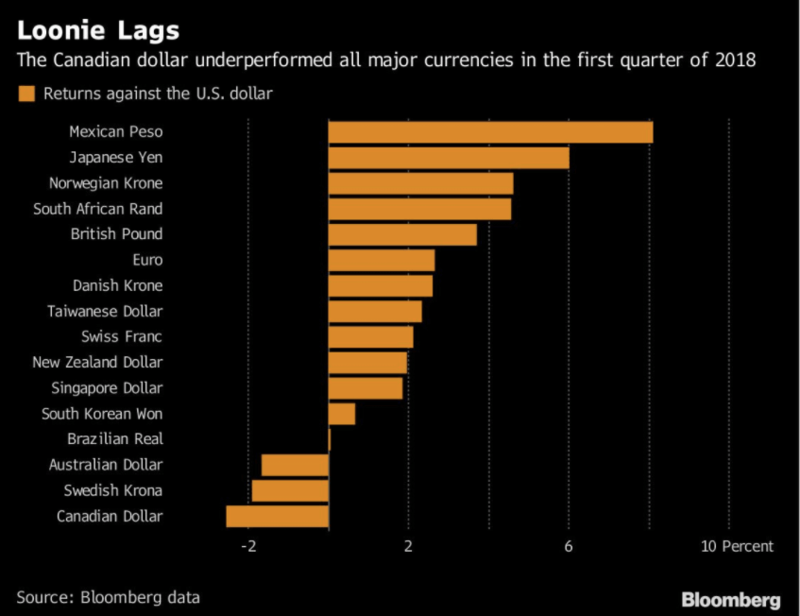 The Canadian dollar is already the worst performing major currency in the first quarter of 2018.